The Communist insurgency in Sarawak occurred in Malaysia from 1962 to 1990, and involved the North Kalimantan Communist Party and the Malaysian Government. It was one of the two Communist insurgencies to challenge the former British colony of Malaysia during the Cold War. As with the earlier Malayan Emergency (1948–1960), the Sarawak Communist insurgents were predominantly ethnic Chinese, who opposed to British rule over Sarawak and later opposed the merger of the state into the newly created Federation of Malaysia. The insurgency was triggered by the 1962 Brunei Revolt, which had been instigated by the left-wing Brunei People's Party in opposition to the proposed formation of Malaysia. The Sarawak Communist insurgents were also supported by Indonesia until 1965 when the pro-Western President Suharto assumed power and ended the confrontation with Malaysia. During that period, the NKCP's two main military formations were created: the Sarawak People's Guerilla Force (SPGF) or Pasukan Gerilya Rakyat Sarawak (PGRS), and the North Kalimantan People's Army (NKPA) or the Pasukan Rakyat Kalimantan Utara (PARAKU). Following the end of the Confrontation, Indonesian military forces would co-operate with the Malaysians in counter-insurgency operations against their former allies. The North Kalimantan Communist Party was formally established in March 1970 through the merger of several Communist and left-wing groups in Sarawak including the Sarawak Liberation League (SLL), the Sarawak Advanced Youths' Association (SAYA), and the NKPA. In response to the insurgency, the Malaysian federal government created several "controlled areas" along the Kuching-Serian road in Sarawak's First and Third Divisions in 1965. In addition, the Sarawak Chief Minister Abdul Rahman Ya'kub also managed to convince many of the NKCP insurgents to enter into peace negotiations and lay down their arms between 1973 and 1974. Following the successful peace talks between the Malaysian government and the Malayan Communist Party in 1989, the remaining NKCP insurgents signed a peace agreement on 17 October 1990 which formally ended the insurgency. Dissolution of the Sarawak Communist Organisation/North Kalimantan Communist Party (SCO/NKCP). Members of the Sarawak People's Guerilla Force (SPGF), North Kalimantan National Army (NKNA) and Indonesian National Armed Forces (TNI) taking photograph together marking the close relations between them during Indonesia under the rule of Sukarno. Besides the communist insurgency in Peninsular Malaysia, a second one was waged in Sarawak, one of Malaysia's Borneo states. As with their MCP counterparts, the Sarawak Communist Organisation (SCO) or the Communist Clandestine Organisation (CCO), was predominantly dominated by ethnic Chinese but also included Dayak supporters. However, the Sarawak Communist Organisation had little support from ethnic Malays and the indigenous Sarawak races. At its height, the SCO had 24,000 members. During the 1940s, Maoism had spread among Chinese vernacular schools in Sarawak. Following the Second World War, Communist influence also penetrated the labour movement, trade unions, the Chinese-language media, and the predominantly-Chinese Sarawak United People's Party (SUPP), the state's first political party which was founded in June 1959. Communist objectives in Sarawak were to achieve self-government and independence for the colony, and to establish a Communist society. The Communist Organisation operated through both legitimate and secret organisations to propagate Communist ideology. Their tactic was to establish a "united front" with other left-wing and anti-colonial groups in Sarawak to achieve their goal of independence of the colony from British rule. According to the Australian historian Vernon L. Porritt, the first known Sarawak Communist Organisation operation was an assault on the Batu Kitang bazaar on 5 August 1952. In response, the Sarawak colonial government approved more funding for security measures, strengthen the security forces, and introduced legislation to deal with internal security. Sarawak Communists were also opposed to the formation of the Federation of Malaysia, a sentiment that was shared by the Indonesian Communist Party, A.M. Azahari's Brunei People's Party, and the Sarawak United People's Party. According to the historians Cheah Boon Kheng and Vernon L. Porritt, the Sarawak Insurgency formally began after the Brunei Revolt in December 1962. The Brunei Revolt was a failed uprising against the British by the A.M. Azahari's Brunei People's Party and its military wing, the North Kalimantan National Army (Tentera Nasional Kalimantan Utara, TNKU), who were opposed to the Malaysian Federation and wanted to create a North Borneo state consisting of Brunei, Sarawak, and North Borneo. 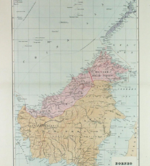 According to Porritt, the SCO leaders Wen Min Chyuan and Bong Kee Chok were aware about A.M Azahari's planned revolt but were initially reluctant to resort to guerrilla warfare due to their weak presence in Sarawak's Fourth and Fifth Divisions, which were located adjacent to Brunei. In December 1962, the SCO still lacked a military wing and its members had not yet undergone military training. Following the Brunei Revolt, the SCO switched to a policy of armed insurgency from January 1963 since the defeat of the Bruneian rebels deprived it of a source of weapons. The Sarawak Communist Organisation's guerrillas would fight alongside the TNKU and Indonesian forces during the Indonesia–Malaysia confrontation (1963–1966). Following the Brunei Revolt, the British authorities in British Borneo, in co-operation with the Malaysian Special Branch, launched a crackdown of suspected Communists in Sarawak which prompted 700–800 Chinese youths to flee to Indonesian Kalimantan. There, these Communists received military-style training at Indonesian camps. At that time, President Sukarno was pro-Communist and anti-Western. As with Sukarno and the Indonesian Communist Party (PKI), the Sarawak Communists opposed the newly formed Federation of Malaysia as a "neo-colonialist conspiracy" and supported the unification of all former British territories in Borneo to create an independent leftist North Kalimantan state. According to the former British soldier and writer Will Fowler, the so-called "Clandestine Communist Organisation" had plans to launch attacks on police stations and to ambush security forces, paralleling similar tactics used by the Malayan National Liberation Army during the Malayan Emergency. Due to the Sukarno government's hostility to Britain and Malaysia, the Sarawak Communist Organisation used Indonesian Kalimantan as a base for building up a guerrilla force. These Communist exiles in Indonesia would form the core of the North Kalimantan Communist Party's two guerrilla formations: the Sarawak People's Guerilla Force (SPGF—Pasukan Gerilya Rakyat Sarawak (PGRS)) and the North Kalimantan People's Army (PARAKU). The Sarawak People's Guerilla Force was formed on 30 March 1964 at Mount Asuansang in West Kalimantan with the assistance of the Indonesian Ministry of Foreign Affairs. The SPGF's leaders included Bong Kee Chok, Yang Chu Chung, and Wen Ming Chyuan. According to Conboy, the PGRS numbered about 800 and was based in West Kalimantan at Batu Hitam, with a contingent of 120 from the Indonesian intelligence agency and a small cadre trained in China. The Indonesian Communist Party was also present and was led by an ethnic Arab revolutionary, Sofyan. The PGRS ran some raids into Sarawak but spent more time developing their supporters in Sarawak. The Indonesian armed forces did not approve of the leftist nature of the PGRS and generally avoided them. Meanwhile, the North Kalimantan People's Army was formed by Bong Kee Chok near Melawi River in West Kalimantan with the assistance of the PKI on 26 October 1965. While the SPGF under its commander Yang operated in western Sarawak, the NKPA operated in eastern Sarawak. The NKPA was initially commanded by Lam Wah Kwai, who was succeeded by Bong Kee Chok. According to Kenneth Conboy, Soebandrio met with a group of Sarawak Communist leaders in Bogor, and Nasution sent three trainers from Resimen Para Komando Angkatan Darat (RPKAD) Battalion 2 to Nangabadan near the Sarawak border, where there were about 300 trainees. Some three months later, two lieutenants were also sent there. The Indonesians had planned to use the Sarawak Communists as an indigenous front for their operations during the Indonesian-Malaysian Confrontation. To support this ruse, they even named the organisation the North Kalimantan National Army (TNKU), to link the SCO to the original Bruneian rebels. While the first raids included SCO members, they were often led by regular Indonesian officers or Non-commissioned officers from the Marine commandos (Korps Komando Operasi, KKO), the Army para-commandos (Regimen Para Kommando Angaton Darat, RPKAD), and the Air Force paratroopers ( Pasukan Gerak Tjepat, PGT). Following an attempted coup by pro-PKI elements in the Indonesian military in October 1965, General Suharto assumed power and launched a purge of Communist elements. Overnight, the Sarawak Communists lost a safe haven and the Indonesian military would subsequently co-operate with the Malaysians in counter-insurgency operations against their former allies. According to Porritt, the Indonesian anti-Communist purge was also accompanied by a Dayak-led pogrom targeting the ethnic Indonesian Chinese in West Kalimantan, which received tacit support from the Indonesian authorities. In response to the Sarawak Communist Organisation's activities, the Sarawak and Malaysian Federal resorted to various counter-insurgency operations. On 30 June 1965, the Sarawak government's Operations Sub-Committee of the State Security Executive Council (Ops SSEC) implemented the Goodsir Plan. This plan involved the resettlement of 7,500 people in five "temporary settlements" along the Kuching-Serian road in Sarawak's First and Third Divisions. The Goodsir Plan was named after David Goodsir, the British acting commissioner of police in Sarawak. These settlements were protected by barbed wire and modelled after the successful New Villages used earlier during the Malayan Emergency. As with the Briggs Plan, the Goodsir Plan's "controlled areas" succeeded in denying the SCO access to food supplies, basic materials, and intelligence from their Chinese supporters. By the end of 1965, 63 suspected Communists activists had been identified by the authorities. By the end of 1965, the Federal Government had built three permanent settlements at Siburan, Beratok, and Tapah to replace the five temporary settlements, which covered 600 acres and were designed to accommodate 8,000 inhabitants. By 22 July 1966, the Malaysian Prime Minister Tunku Abdul Rahman estimated that there were approximately 700 Communists in Indonesian Kalimantan and about 2,000 sympathisers. The Tunku also offered amnesty and safe-conduct passes to SCO guerrillas under Operation Harapan, but only 41 guerrillas accepted this offer. The end of the Indonesian-Malaysian Confrontation also enabled the establishment of military co-operation between the Indonesian and Malaysian armed forces against SCO guerrillas in Borneo. On October 1966, both governments allowed their military forces to cross the border in "hot pursuit" operations. Between 1967 and 1968, Indonesian and Malaysian military forces took part in joint operations against the Sarawak Communists, which took an increasingly heavy toll on both the Sarawak People's Guerrilla Force and the North Kalimantan Liberation Army. Due to a decline in manpower, resources and increased isolation from their support base, the SCO shifted from guerrilla warfare towards reestablishing the movement's link with the masses, including the Natives, to preserve the 'Armed Struggle'. On 25 March 1969, Indonesian forces eliminated the Third Branch of the SPGF at Songkong in West Kalimantan following a two-day battle, wiping out the Sarawak People's Guerrilla Force's largest corps. To replace the decimated SPGF, the Sarawak Communist Organisation created the North Kalimantan People's Guerrilla Force at Nonok on 13 July 1969. On 30 March 1970, Wen Ming Chyuan, the Head of the Sarawak People's Guerrillas in Sarawak's First Division, formed the North Kalimantan Communist Party. However, 19 September 1971 was chosen as the official date of the formation of the party to coincide with the Pontianak Conference, which had been held on 17–19 September 1965. While the Pontianak Conference was regarded as the foundation of the Sarawak Communist Movement, none of the conference attendees were Communist. Instead, they consisted of members of the left-wing Liberation League and the "O Members" of the Advanced Youths Association. While they had discussed creating a Communist party in Sarawak, they delayed doing so until 1971 due to the tense political situation in Indonesia. The Rajang Area Security Command or simply known as RASCOM is a Malaysian security area that covers the area of Rajang River in Sarawak. It was established on 18 April 1972 by the Malaysian government and its main headquarters is located at Sibu. The Sarawak Chief Minister Abdul Rahman Ya'kub also made several overtures to the NKCP insurgents and managed to convince several of the insurgents to lay down their arms. In 1973–74, the Malaysian government scored a key victory when Rahman Ya'kub successfully convinced one of the NKCP leaders Bong Kee Chok to surrender along with 481 of his supporters. This was a heavy loss for the NKCP since this number comprised approximately 75 per cent of the NKCP's entire force in Sarawak. After this defection, only 121 guerilla fighters led by Hung Chu Ting and Wong Lian Kui remained. By 1974, the Communist insurgency had become confined to the Rejang Delta. Both sides sustained casualties and many civilians were also killed and wounded in the cross-fire. Following the successful Hat Yai peace accords between the MCP and the Malaysian government in 1989, the remaining NKCP guerillas decided to end their insurgency after one of their Chinese contacts Weng Min Chyuan convinced them to negotiate with the Sarawak state government. In July 1990, a series of negotiations between the NKCP and the Sarawak government took place at the town of Bintulu. By 17 October 1990, a peace agreement formally ending the insurgency was ratified at Wisma Bapa Malaysia in the state capital Kuching. Shortly afterwards, the last remaining NKCP operatives led by Ang Cho Teng surrendered. These developments ended the communist insurgency in Sarawak. Central Intelligence Agency, OPI 122 (National Intelligence Council), Job 91R00884R, Box 5, NIE 54–1–76, Folder 17. Secret. Reproduced at "Doc. 302: National Intelligence Estimate 54–1–76: The Outlook for Malaysia". US Department of State: Office of the Historian. Retrieved 8 January 2013. Chan, Francis; Wong, Phyllis (16 September 2011). "Saga of communist insurgency in Sarawak". The Borneo Post. Retrieved 10 January 2013. Pilo, Wilfred (5 August 2014). "Former enemies meet as friends 40 years later". The Borneo Post. Retrieved 6 August 2014. Corbett, Robin (1986). Guerilla Warfare: from 1939 to the present day. London: Orbis Book Publishing Corporation. ISBN 978-0-85613-469-2. Cheah Boon Kheng (2009). "The Communist Insurgency in Malaysia, 1948–90: Contesting the Nation-State and Social Change" (PDF). New Zealand Journal of Asian Studies. 11 (1): 132–52. Retrieved 5 January 2013. Fowler, Will (2006). Britain's Secret War: The Indonesian Confrontation 1962–66. London: Osprey Publishing. ISBN 978-1-84603-048-2. ^ a b c d e f g Fowler, Will (2006). Britain's Secret War: The Indonesian Confrontation 1962–66. London: Osprey Publishing. pp. 11, 41. ISBN 978-1-84603-048-2. ^ a b c d e f g h i j k l m Francis Chan; Phyllis Wong (16 September 2011). "Saga of communist insurgency in Sarawak". The Borneo Post. Retrieved 10 January 2013. ^ a b c d e f g h i j Hara, Fujiol (December 2005). "The North Kalimantan Communist Party and the People's Republic of China". The Developing Economies. XLIII (1): 489–513. doi:10.1111/j.1746-1049.2005.tb00956.x. ^ Geoffrey Jukes (1 January 1973). The Soviet Union in Asia. University of California Press. pp. 173–. ISBN 978-0-520-02393-2. ^ Kurt London (1974). The Soviet Impact on World Politics. Ardent Media. pp. 153–. ISBN 978-0-8015-6978-4. ^ Wilfred Pilo (3 November 2013). "The day the insurgency ended". The Borneo Post. Retrieved 5 September 2015. ^ Wilfred Pilo (5 August 2014). "Former enemies meet as friends 40 years later". The Borneo Post. Retrieved 6 August 2014. ^ a b c d "Communist Guerrillas Push Government Into Campaign in Borneo's Town, Jungles". Spartanburg Herald-Journal. Herald-Journal. 2 September 1971. Retrieved 3 September 2015. ^ Doreena Naeg (10 October 2010). "The forgotten warriors". The Borneo Post. Retrieved 3 September 2015. ^ Hugh Mabbett (18 March 1971). "Quit homes, 17,000 told". The Age. Retrieved 3 September 2015. ^ Michael Richardson (28 March 1972). "Sarawak Reds kill 13 soldiers". The Sydney Morning Herald. Retrieved 3 September 2015. ^ Conny Banji (21 February 2012). "The night communists killed hero of Ulu Oya". The Borneo Post. Retrieved 3 September 2015. ^ Peter O'loughlin (20 February 1974). "Malaya rebels on move again". Associated Press. The Age. Retrieved 3 September 2015. ^ National Intelligence Estimate 54–1–76: The Outlook for Malaysia (Report). Central Intelligence Agency. 1 April 1976. ^ Vernon Porritt lists the date of the Sarawak People's Gueriella Force's establishment as 20 March 1964. ^ Vernon Porritt, pp. 135–139, 143–47. ^ "Sarawak Chinese Put in Relocation Camps". St. Petersburg Times. 10 July 1965. Retrieved 26 September 2015. ^ a b Fong, Hong-Kah (2005). "Book Review: Vernon L. Porritt "The Rise and Fall of Communism in Sarawak 1940–1990"" (PDF). Taiwan Journal of Southeast Asian Studies. 2 (1): 183–192. Archived from the original (PDF) on 24 December 2013. Retrieved 31 August 2013. ^ "ESSCOM: Learning from Sarawak's experience". Sin Chew Jit Poh. 17 March 2013. Archived from the original on 16 February 2015. Retrieved 16 February 2015. ^ Genta, Florence (13 June 2013). "Recognising Rascom's roles". New Sarawak Tribune. Archived from the original on 16 February 2015. Retrieved 16 February 2015. Conboy, Ken (2003). KOPASSUS Inside Indonesia's Special Forces. Sheffield, United Kingdom: Equinox Publishing. ISBN 978-979-95898-8-0. Porritt, Vernon L. (2004). The Rise and Fall of Communism in Sarawak, 1940-1990. Monash Asia Institute. ISBN 9781876924270. This article lists important figures and events in Malaysian public affairs during the year 1990, together with births and deaths of notable Malaysians. Bong Kee Chok (黄紀作; born 1937) is the main leader and member of the Clandestine Communist Organisation (CCO), also known as the North Kalimantan Communist Party (NKCP).As Bong was opposed to the formation of Malaysia, he was arrested on 22 June 1962. After his release, Bong formed the NKCP on 19 September 1965 in Pontianak, West Kalimantan, Indonesia. After a series of insurgencies, and the Indonesians' decision to stop aiding the Communists, Bong decided to surrender and signed an agreement to lay down arms to Sarawak Chief Minister Abdul Rahman Ya'kub on 20 October 1973 which signified the end of further major battles in the Sarawak Communist Insurgency. Following the end of the Malayan Emergency in 1960, the predominantly ethnic Chinese Malayan National Liberation Army, armed wing of the MCP, had retreated to the Malaysian-Thailand border where it had regrouped and retrained for future offensives against the Malaysian government. The insurgency officially began when the MCP ambushed security forces in Kroh–Betong, in the northern part of Peninsular Malaysia, on 17 June 1968. The conflict also coincided with renewed tensions between ethnic Malays and Chinese in peninsular Malaysia and the Vietnam War.While the Malayan Communist Party received some limited support from China, this support ended when Kuala Lumpur and Beijing established diplomatic relations in June 1974. In 1970, the MCP experienced a schism which led to the emergence of two breakaway factions: the Communist Party of Malaya–Marxist-Leninist (CPM–ML) and the Revolutionary Faction (CPM–RF). Despite efforts to make the MCP appeal to Malays, the organisation was dominated by ethnic Chinese throughout the war. Instead of declaring a "state of emergency" as the British had done previously, the Malaysian government responded to the insurgency by introducing several policy initiatives including the Security and Development Program (KESBAN), Rukun Tetangga (Neighbourhood Watch), and the RELA Corps (People’s Volunteer Group).The insurgency came to an end on 2 December 1989 when the MCP signed a peace accord with the Malaysian government at Hatyai in southern Thailand. This coincided with the collapse of the Eastern Bloc Communist regimes. Besides the fighting on the Malayan peninsula, another Communist insurgency also occurred in the Malaysian state of Sarawak in the island of Borneo, which had been incorporated into the Federation of Malaysia on 16 September 1963.